There are some unique things about this book, seventh in the series on risk. This is a book that I have decided to offer for free. This is because the issue of fallibility has become critical as the risk industry continue to use language and discourse in denial of fallibility. 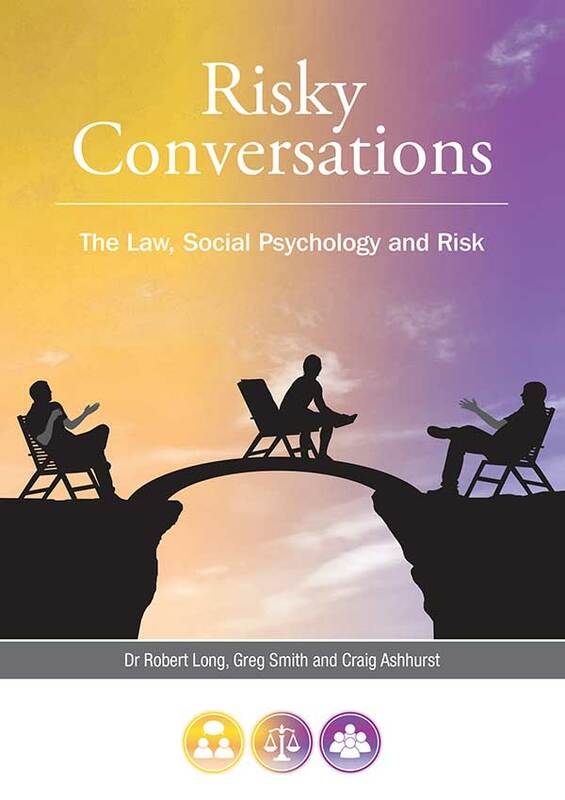 Since publishing my second book in the series on risk: For the Love of Zero, Human Fallibility and Risk (2012) I have been inundated by requests to explain more about the Social Psychology of Risk (SPoR) and the problem with language and symbols of absolutes, perfectionism and dehumanisation in the risk industry. The risk industry seems to be blind to the nature of the unconscious, semiotics and social psychology. It seems as if the word ‘fallibility’ is taboo and being human is equivalent to being permanently defiled. Understanding the nature of semantics, semiosis, semiotics and the semiosphere and how these shape our lives, society, organisations and culture unconsciously is critical to understanding fallibility, risk and problems of perfectionism. As the world becomes more consumed with the ideology of technique-as-saviour its by-products and trade-offs become more acute and worrying. The trajectory of the ideology of ‘Technique’ explained by Ellul or ‘Technopoly’ as coined by Postman, seems to be taking us to a growing devaluation of learning, dehumanising of persons and the emergence of ‘big data’ and algorithms projected as the saviours of our age. Whilst humans seem more ‘connected’ and have many ‘friends’ online we are more disconnected with ourselves and with each other than ever (Turkle, 2011, Alone Together). Whilst the world seems to be on social media we seem less humanising in the way we organise paricularly in relation to how we tackle risk. There is so little written on fallibility and risk, it seems as if Risk wants to think of everything except the humanising of persons, certainly in the industries concerned with risk. The risk industry would much rather write and discuss how to quantify ‘human error’ than talk about fallibility and human ‘being’. The focus of human error language and discourse in the risk industry has led to the demonising of humans by their mistakes and seeking the total prevention of mistakes. This is highlighted in the work of Reason (1997) who first tried to define human error as ‘unsafe acts’ in ‘unintended’ and ‘intended’ actions-slips, lapses, mistakes and violations. These were then defined as ‘attentional failures’, ‘memory failures’, ‘rule-based knowledge mistakes’ and ‘routine violations or exceptional violations’. With the help of Reason and positivist ideology the risk industry could name the cause of injury as ‘human error’ and then theoretically ‘fix’ the problem. Interestingly all Reason’s definitions werre neatly wrapped up in graphic semiotics of pyramids and concept trees to confirm emotional validity. Apparently, human error covers a multitude of sins. However, over time the term ‘human error’ has become virtually meaningless. Human Error is often used as a behaviourist by-line to avoid serious reflection on human ‘being’. Instead, human error has become a langauge for not thinking about human ‘being’. Many of the books written on Human Error (eg. Dekker, Wallace and Ross, Reason and Hollnagel) discuss everything except the nature of fallibility in their quest to name and tackle Human Error. Many of the texts that focus on ‘human factors’ also avoid discussion on fallibility instead hold a focus on humans as a sub-set factor in a system. Even in definition of resilience the focus remains on engineering and individualism within a system rather than the nature of personhood and human ‘being’ within an ecological framework. This all demonstrates the evolving power of STEM-only knowledge (Science, Technology, Engineering and Mathematics) and discourse as the methodology for the risk industry. This seventh book in the series on risk is more philosophical than all previous books. Whilst it would be good to write under the KISS principle this cannot be so given the complexities associated with understanding the nature of humans, being and fallibility. When exploring the ageless questions about: good and evil, suffering, harm, free will and determinism, we must delve into philosophy, the love of wisdom. There are no simple answers to these ageless questions. There is no easy fix for the challenges of fallibility. Wisdom is not about a confirmation of certainty in knowing but more often a security in not being troubled by not knowing. In the industries associated with risk (safety, security and Risk Management) it seems that meaning-as-semiosis in living is constructed as ‘error aversion’. Rather than focusing on the fullness of life, learning and all that comprises human ‘being’, the risk industry takes a deficit focus on prevention and aversion. The gaze seems to be on what humans ‘are not’ rather than what humans ‘can be’ or who humans are. In this respect an existentialist dialectic identified with Jacques Ellul (What I Believe) and the work of Paul Ricoeur (Fallible Man & The Symbolism of Evil) will help to bring the nature of fallible human ‘being’ into sharper view. The nature of fallibility seems greatly misunderstood in the risk industry as defined by a binary worldview. The binary worldview has an either/or frame on how it understands life. Binary thinking avoids the complexity of real living by framing the world as simply: good or bad, black or white and good or evil. 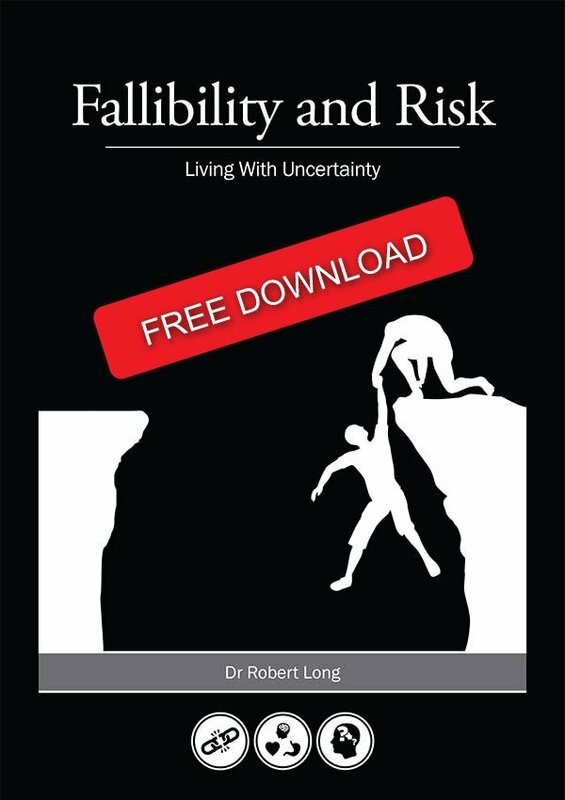 This book argues that dualist and binary understandings of the world lack the framework to help develop wisdom in understanding risk and fallibility. I will argue that it is only in an existentialist dialectic and paradox that human fallibility can be properly understood. 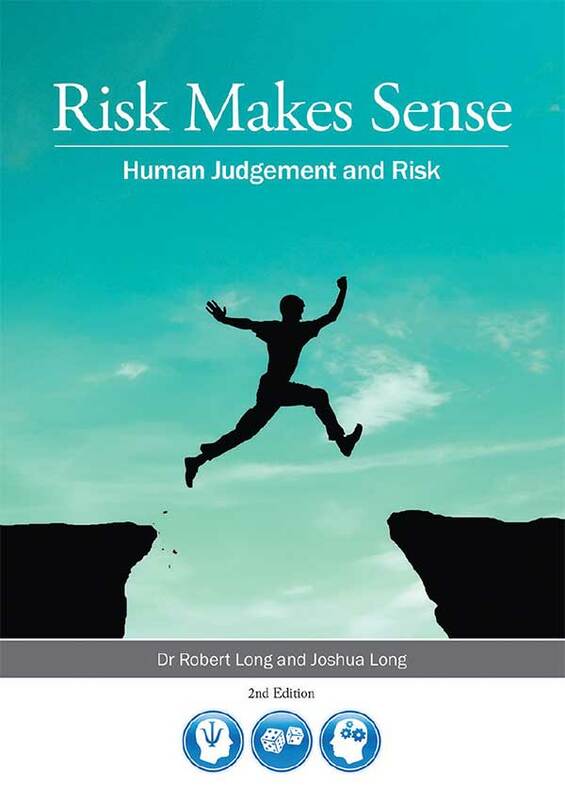 I will argue that the risk industry in seeking to avoid ambiguity, paradox and equivocality in how it organises suppresses fallibility and demonises humans in risk. The outcome of prevention-focused and deficitfocused semiosis is the promotion of fearful living that takes from people of all that is refreshing about learning, innovation, creativity and discovery. Much of what is assumed about fallibility and its mis-definition has been shaped by the history of fourth century Augustinian theology. Augustinian theology posits the idea of Original Sin that is, that humans are morally corrupt by spiritual inheritance from the ‘fall’ of Adam and Eve, hence fall-ibility. Coupled with this theology is the assumption of the juridicial framework of Penal Subsututionary Atonement (PSA). It is from this theology that human fallibility and mortality have been deemed corrupt, defiled and polluted. It is clear from the language of the risk industry that the assumptions of Original Sin and PSA permeate the secular risk industry. In this way harm, Human Error, vulnerability and mortality have been lumped together as defilement as some kind of hereditary human toxicity. This eroneous idea is captured in the Bradley Curve made popular by DuPont in 1995 as a means to understanding how ‘natural instincts’ (read Original Sin) are corrupt and that only through a DuPont system (read PSA) can one achieve zero (read infallibility). The risk industry seems to say very little about human ‘being’ or about ‘being’ human. The language of perfection and innocence that dominates risk industry discourse simply gets in the way of understanding personhood and human ‘being’. In this regard the risk industry lacks a systematic ethic. Without a well articulated ‘ethic of risk’ we find the risk industry speaks in gobbeldygook notions of aspiration for zero and goals and targets, that mask a dehumanizing ethic. The choice of the word ‘fallibility’ for the title of this book is intentional, to capture the focus of the risk industry on religious discourse The language and semiotics of the risk industry has now evolved its own special soteriology (theory of salvation) based upon the deification of systems, processes, technique and positivist paradigms. After all, tackling risk is an act of faith or involves a leap of faith, because in risk one acts with uncertainty about an outcome for salvation. This is because what is often at-risk is death of a humans. So, in the end all will be safe and secure for humans if they get the technique right. The ideology of ‘technique’ is important in this discussion because the quest for total efficiency in technique is connected to the post-humanist and transhumanist dream of fixing the associated problems of fallibility. Unfortunatley, fallibility gets in the way of dreams of perfection. The argument of this book challenges Science Technology Engineering Mathematics STEM-only methodology and positivist approaches to knowledge. 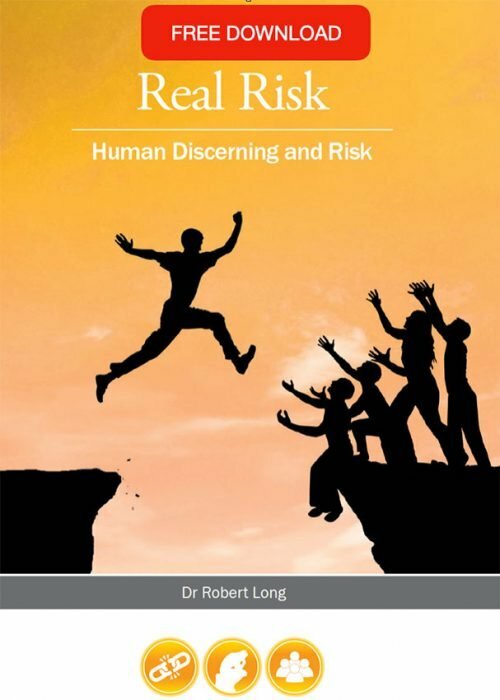 The challenge of this book is for the risk industry to embrace a transdisciplinary approach to risk and to include other bodies of knowledge and disciplines into its discourse in tackling risk. Whilst there is nothing wrong with STEM knowledge and it has its place, the world has moved beyond this tidy paradigm into greater complexity and interconnectedness in multiple-realities. STEM alone is too closed a worldview to help tackle the brave new world of wickedity in risk. The religious language and discourse used in the risk industry is evidence in the growing trend of secularisation of the religious and the religiousness of the secular. We see in popular culture particularly in movies, the yearning for transcendence and in religion the attraction to Western consumerism, individualism and materialism. This is mirrored in the risk industry as it begins to realise that risk is a Wicked Problem that cannot be ‘solved’ or ‘fixed’ yet drifts into metaphysical language and discourse about life, death and saving lives. The focus of of this book is on language and discourse, symbols, signs and sign systems in understanding and living with fallibility. The closing chapter of the book explores constructive and positive ways of approaching the challenges of fallibility and risk. A critical aspect of this book is understanding the powerful influence of archetypes, signs, symbols and poetics on the unconscious and collective unconscious. All language and discourse affects the mind and collective mind. This is why propaganda and indoctrination are often effective, because semiotic language and discourse powerfully shape thinking, beliefs and collective worldview. The risk industry can be most helpful in helping fallible people tackle risk if it learns to be silent about speaking nonsense and more helpful if it learns to think critically, semiotically and discerning in tackling the realities of risk. What does it mean to be human, fallible and at-risk in the world? How is fallibility defined and what does it imply for people tackling risk? What does the discourse and language of infallibility do to humans? How does infallibility discourse prime and frame: failure, depression, deficit focus, guilt and blaming? Why is binary ideology and language bad for thinking and acting in risk? How does binary language influence the way people understand and manage risk? Why is it important to acknowledge fallibility in risk? What knowledge and skills are required to live comfortably with risk? What tools and approaches are most helpful in tackling risk as a fallible human?